Collabor88‘s 3rd birthday is here! Three fantastic years of the best sales on the greatest items, and still going strong! 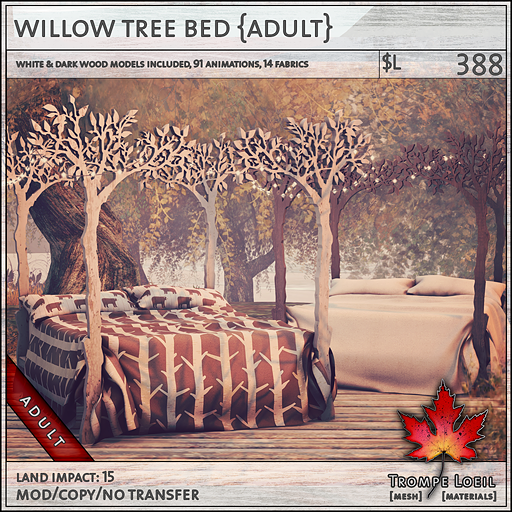 For this birthday round, we have whimsical beds and outdoor spaces sure to turn heads – our new Willow Tree Bed and Outcrop Hut! The Willow Tree Bed features stylish willow tree cutouts that function as the posts of this queen size bed. We include worn white and dark wood versions to fit your mood and decor, and both include tiny stringlights wound through the leaves to form a sparkling canopy! 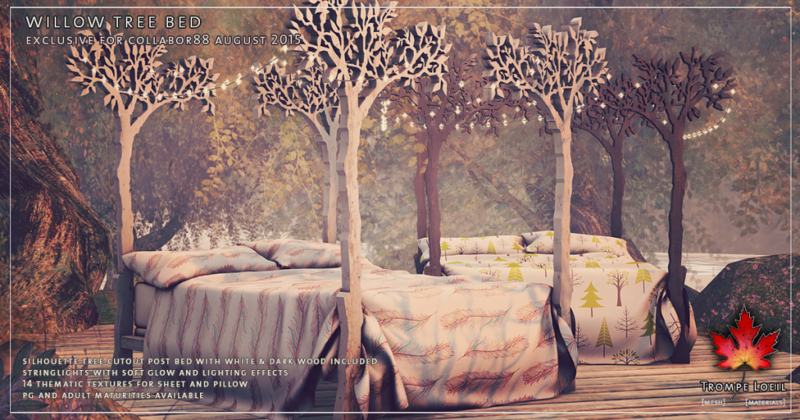 Thematic prints and patterns via menu round out your options, as well as your choice of animation maturities. Grab these at fantastically low C88 prices only during August’s birthday month! 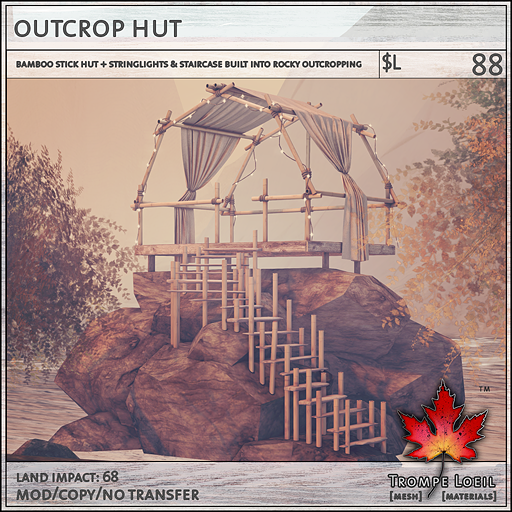 A simple space that makes a statement on land or at sea – our Outcrop Hut is simple summertime living at its rustic best. 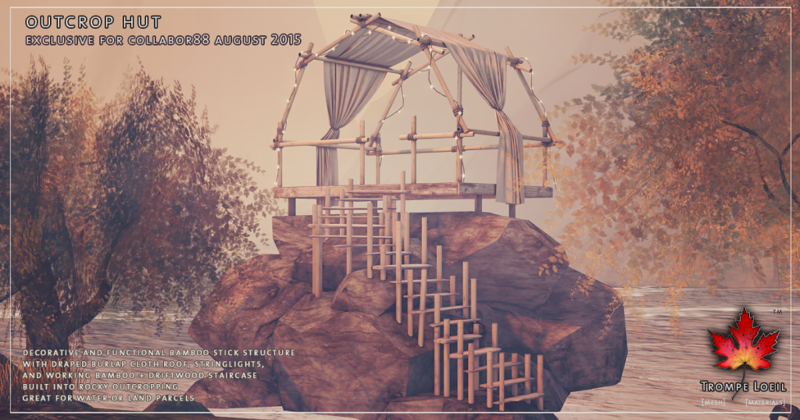 The bamboo frame supports a linen roof drape and twinkling stringlights, and its set atop a built-in rocky outcrop with functional bamboo and driftwood steps for easy access. Set it in the water for a graceful walk down to the lapping waves, or put it in your garden to relax among the treetops! The super-low C88 price won’t last, so swing by the birthday round today!